From knowing your way around data analytics to problem-solving smarts, this is what you need to get an edge in this year’s job market. Nothing is forever—especially in the workforce. So naturally, the job skills that employers look for in new hires change from year to year. It’s one of the best ways for companies to stay competitive and ahead of the never-ending curve. That means you need to consistently improve your skills and develop new ones. So if you’re looking for a better job—and why wouldn’t you be?—how can you make your skill set more attractive to employers? Monster spoke with experts to determine the top seven skills employers will be looking for in new hires. Here’s your chance to get an edge in the job market. To prove to a hiring manager during a job interview that you’re a problem solver, “cite an example from a past job where you identified a problem, developed a solution, and successfully resolved the issue,” Salemi advises. “We’re moving into even more of a data-driven world,” says Steele. But numbers alone are useless unless there’s a human who can interpret them. As a result, more employers are searching for job candidates who can understand and utilize data. This is an important skill for everyone—not just for job seekers seeing traditional data jobs, says Parminder Jassal, head of the Learn and Work Futures Group at the Institute for the Future. “You should have some experience with data analytics and computational thinking, whether it’s programming, coding, or machine learning,” she says. Unfamiliar with data? Don’t sweat it. You can easily gain or improve your data analytics skills by taking an online course on the subject. Between Facebook, Twitter, Pinterest, Instagram, and the like, social media is changing the way companies do business, which is why it’s important to not only understand how these tools work but also be able to use them effectively for business purposes. But many job seekers today still aren’t capitalizing on the wide-reaching effects of social media. Case in point: A Pew Research Center study found that only 21% of all U.S. adults use Twitter. Salemi says one way to highlight your social media skills during a job interview is by describing how you use these websites. Are you using Twitter to stay on top of industry news and interact with thought leaders? What types of articles do you share on Facebook? Have you built a strong following on Instagram to show off your eye for the extraordinary? Your social media activity should serve a concrete purpose beyond being a cure for boredom. A global survey from the World Economic Forum found that creativity will be the third most important work skill—after complex problem solving and critical thinking—by 2020. Why? “Employers are always looking for people who can come up with fresh ways to approach their jobs,” Salemi says. Granted, most job interviews aren’t particularly conducive to demonstrating your creativity in real time. Thus, the best way to show you have a creative mindset is to talk about an innovative way you tackled a task in the past. Maybe you streamlined the production process for your department, or found a way to shrink the company’s operating costs—those sorts of creative achievements are music to a hiring manager’s ears. Trial and error is a recurring process in every industry—innovation depends on experimentation. As such, you need to be able to take a hit as well as a win. “Employers want to see that you can thrive in tough situations,” Salemi explains. That’s why resiliency is one of the most coveted soft skills in today’s job market, says Steele. While it’s similar to problem solving, resiliency is more focused on your ability to recover from setbacks. Instead of crumbling under pressure, you need to learn from failure and find ways to make the best of a bad situation. As more companies adopt flat organization structures—breaking down silos between employees and executives—more employers are looking for people who understand basic business principles. “Nowadays, individuals have to be able to understand how the entire company operates,” Jassal explains. 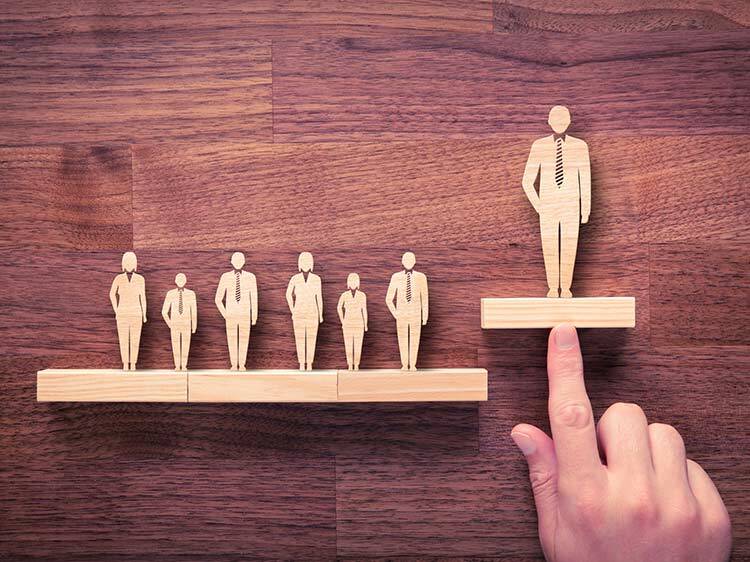 Therefore, showing hiring managers that you’re acquainted with the basic functions of other departments within the company can make you a significantly more attractive job candidate. This may not seem like a skill per say, but willingness to learn new skills is one of the most compelling characteristics job seekers can possess today, Jassal says. Whether it’s through industry conferences, certification courses, online classes, or Meetup Groups, “you should always be taking steps to improve and gain new job skills,” she says. Salemi agrees. “Employers want to know: Do you have an appetite to learn new things? Do you stay on top of industry trends? Do you push yourself and take on tasks that are outside your comfort zone?” Those traits all reflect your desire to enhance your skill set—making you a more valuable worker to any employer. One surefire way to grab an employer's attention and convince them to call you in for an interview is to have a knockout resume that highlights not only your skills and experience, but also the value you'd bring to the company. Could you use some help? Get a free resume evaluation today from the experts at Monster's Resume Writing Service. You'll get detailed feedback in two business days, including a review of your resume's appearance and content, and a prediction of a recruiter's first impression. The demands of the workforce are ever-changing, but a strong resume will never go out of style.